Alright, all of you know that we struggle with DinoBoy's Chinese, it's tough to get him interested in the language. It's mentally draining when I have to deal with the boy's attitude and unwillingness to learn. Recently I was introduced to Hanzi800 and was immediately drawn to it because it claims that "after completing all 40 lessons, a user who started the programme with basic level of Chinese literacy (preschool or Primary 1) can expect to achieve up to 80% general reading competency." That is something which I hope the boy to achieve in near future but I frown at the process if we were to use our way of learning. We tried the app and find it useful, entertaining, engaging and affordable, read more about it from our review over at theAsianparent. 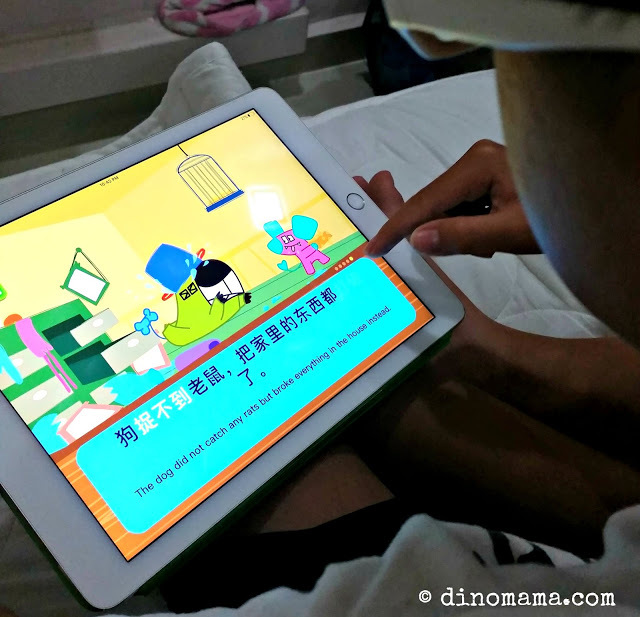 Disclaimer : We are in no way affiliated with the management of Hanzi800, we were approached by theAsianparent to do an advertorial product review of Hanzi800 educational app for our honest review of the product.